Lincoln City vs Morecambe predictions as they meet in League Two this weekend. Will the hosts be able to continue their charge for the title with another three points? Read on for our preview of the match and all our free betting tips below. A quick glance at the League Two table and you would think that Lincoln City are in for a pretty routine weekend when they welcome lowly Morecambe to Sincil Bank at the weekend. The Imps will have to guard against complacency if they are to secure another three points to their bid to win a spot in League One next season and their challenge for the title this time around. 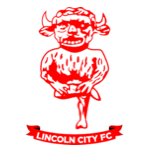 Lincoln City are just two points behind League Two leaders Milton Keynes Dons and they will know that they cannot afford any slip ups as they bid to close the gap and reclaim the spot at the top of the division. Although the Imps have been excellent through the first half of the season, they have fallen away from top form of late and have all too often had to settle for a share of the spoils. Their frustrations will be especially apparent on home soil as their inability to keep a clean sheet has seen them drop points on too many occasions. Morecambe have only won three on the road in the league this season and a fourth looks unlikely against high-flying Lincoln City. 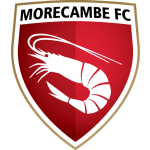 However, Morecambe have lost just one of their last five matches on the road in the league and are capable of putting in a stubborn, dogged performance at Sincil Bank. The Shrimps were in a similar position against Lincoln last season too, but they proved the sort of steel they have that has kept them in League Two for the last few seasons as they managed to claim a share of the spoils in both of the clashes in the division between these two sides last term. Despite the steel shown by the Shrimps on the road, it is hard to make a case for them to leave Sincil Bank with a positive result come 5 pm on Saturday. However, the fact that the hosts are priced so short means that we are going to have to work a little harder in order to get some value. In truth, it should be a comfortable afternoons work for the Imps and we think that backing them to be winning at both half time and full time represents the best value. Bet £10 on Chelsea vs Burnley, Get £30 In Free Bets! Lincoln have conceded at least one goal in 90% of their home matches. Both teams have scored in 80% of Lincoln City’s home matches. Morecambe’s last four away games have finished with less than 2.5 goals scored. Morecambe have lost 40% of their away matches to nil.